When: Our 6 O’clock Gin Distillery Tours takes place at 1pm and 3:30pm on selected Saturdays and Sundays. They last for around 1 ½ hours, so for those who aren’t driving, we’d recommend booking your taxis for 2:45pm or 5:15pm depending on your booking. Where: Tours take place at the 6 O’clock Gin Distillery in Thornbury. You can find us on Google Maps, and our full address is: Bramley and Gage, Unit C6, Ashville Park, Short Way, Thornbury, BS35 3UU. How Much: Total cost for a private booking is £400. 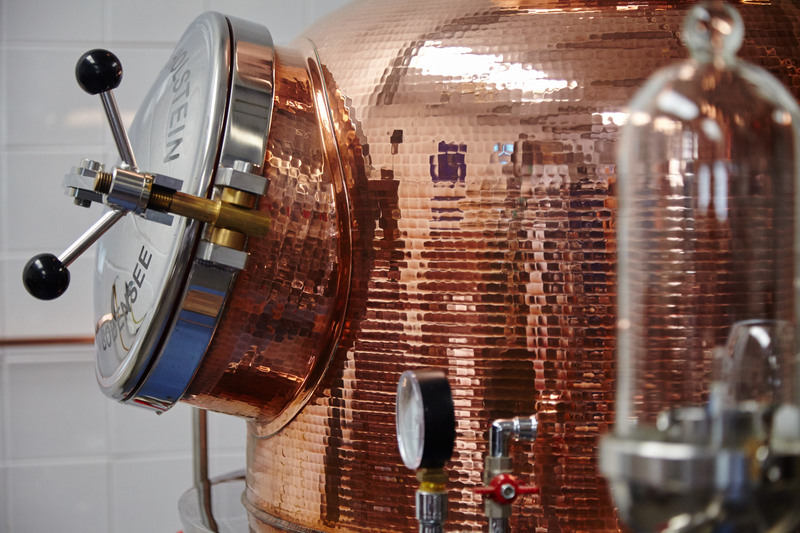 The cost includes a distillery tour, tutored tasting and a glass of 6 O’clock Gin and Tonic or a liqueur of your choice. In order to secure your date we require a 50% non-refundable deposit at the time of booking with the remaining balance to be paid 1 month before your tour date. How Many: There is no minimum group size and we can take up to 20 people. Accessibility: While we try to accommodate all guests, we unfortunately don’t possess a lift to take guests to the second floor of the building. Please also note that the tour does involve quite a lot of standing. You can contact us on 01454 418046 if you require further details. Age Limit: The minimum age for admission to the premises is 18 years (we don’t have a maximum).